OK, Bear With Me: What If Mario And Wario Are The Same Guy? In Nintendo’s recently released mobile game Super Mario Run, the famous plumber leaps his way through a couple dozen levels on his way to rescue Princess Peach from Bowser. Been there, done that. Yet perhaps there is a second, darker reading of this game? Maybe there’s an interpretation that shakes the accepted Mario lore to its very core?? I’m going to warn you up front that this is a ridiculous theory. It is likely wrong in a hundred ways. That will not stop me from sharing it with you now. The theory originated on a recent episode of the Idle Thumbs podcast, which is hosted by Chris Remo, Jake Rodkin and Nick Breckon. I like all three of those guys and used to go on their show back when I lived in San Francisco—Remo also joined me on our own Splitscreen podcast last year. While I’ve always enjoyed their show and its various Mario-related flights of fancy, I did not expect to hear a theory so outlandish it’d feel more at home in one of Hideo Kojima’s Metal Gear games. The short version of the theory: In Super Mario Run, Mario doesn’t just liberate the Mushroom Kingdom, he conquers it. With the help of his workforce of “liberated” Toad subjects, he builds a new kingdom in his image. He eventually becomes power-mad and corrupted, which causes him to assume a new identity: Corrupt Mario, a.k.a. Wario. Under this new identity, he rules over the former Mushroom Kingdom with an iron fist until his son, Mario Jr., overthrows him with the help of his uncle Luigi, Peach, and others. I liked it enough to write it out for you all here, and chatted with Remo and Rodkin via Skype yesterday to get some additional context. In early Mario games, Mario is a liberator. He shows up in the Mushroom Kingdom and liberates the it, one castle at a time. When Mario reaches the end of a level, he finds a castle with a Bowser/King Koopa flag flying high. He leaps up and takes it down. The castle and its lands, we presume, are now free. In Super Mario Run, however, there’s a crucial difference. Mario takes down Bowser’s flag but then raises a flag of his own. Above: Mario the conqueror raises his own flag at the end of a level in Super Mario Run. We can therefore conclude that in the new game, Mario is conquering the Mushroom Kingdom, not liberating it. It’s not the first time Mario has flown his own flag, but the Mario-as-conqueror theory is further supported by Mario Run’s separate Kingdom Builder, in which Mario conscripts a growing workforce of Toad citizens to make him a vast new empire. Mario is now de facto ruler over a new kingdom. “It’s basically a military junta,” Remo said, pointing out that this is just the sort of “interim” government commonly propped up after a coup, the creators of which usually have no intention of actually stepping down or returning power to the people. Super Mario Run doesn’t have an ending, but if you beat every level and max out the Kingdom Builder, Mario has become a dictator. He’s running what amounts to an apartheid state, with an indentured workforce of Toads who have been separated out by color and forced to build castles and statues in tribute to their glorious leader. That leader’s name is Mario. Above: Wario, as depicted on the boxart for 2003's Wario World. All of which is to say that in this theory, Mario and Wario are the same person. After conquering the Mushroom Kingdom in Super Mario Run, Mario gradually becomes Corrupted Mario, who then in turn becomes Old Mario, a.k.a. Wario. There’s at least some support for this beyond Mario’s increasing coin-hungriness. According to Remo, in Super Mario Run, Mario can be heard saying “Mario is number one,” a catchphrase more associated with Wario. If Wario is in fact an older, corrupted Mario, then who is the Mario who exists alongside him in various Mario games? It’d be possible to come up with explanations that involve time-travel, parallel dimensions or cloning, but there’s an easier one: Mario is in fact Wario’s son, Mario Jr. There was some question of the rest of the Mario Land timeline, since later Mario Land games star Wario. Super Mario Land 3: Wario Land features Wario trying to get his own castle after his son Mario kicks him out of his home at the end of the second game. Nothing that can’t be explained away as familial infighting, however. How does Waluigi fit into this? He’s not just an evil evolution of Luigi. Rather, he’s just some guy Wario brought in to replace his brother, whom he’d outgrown. “That explains why his name’s so stupid,” Remo said. “Mario cleverly changed his own name to Wario, and then he couldn’t really figure out how to make it work with his new Luigi.” Instead, he just found a guy who looked kind of like his now alienated brother, renamed him “Waluigi,” and brought him in to act as his grand vizier. 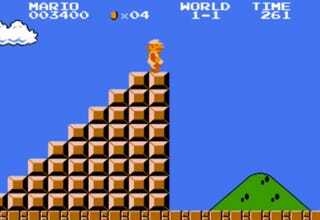 Legendary Mario designer Shigeru Miyamoto has confirmed that Super Mario Bros. 3 is in fact a stage play, which explains the set-like backgrounds, curtains, and the drop-shadow that falls behind objects in the game world. That fact fits into this theory in a number of interesting ways. One possible interpretation is that the play is being put on far, far in the future, after all the characters have resolved their differences and decided to reenact the good old days. Another more compelling interpretation is that the play is in fact propaganda created by Wario post-Super Mario Run, for which he hired an actor (or possibly cast his son) to play his younger self in a reenactment of his glory days. The play could actually be a turning point for Wario. As he attends the premiere, he sees his past heroic deeds and begins to realize what he’s become. A supplemental part of the Mario 3 play theory was originated by the artist Olly Moss, who, according to Remo and Rodkin, submitted an explanation for why in games like Mario Tennis or Super Mario Kart, characters like Bowser and Wario are playing fun games alongside Mario and Peach. According to this theory, the Kart/Tennis/Party games all take place far in the future, after everyone has had their own personal rise and fall and the Mushroom Kingdom is finally living in true peace. Wario and his son Mario are finally cool with one another, as are Bowser, Toad, Yoshi, Peach, and all the rest. All of this leaves one great story untold: The tale of the fall of Wario, which takes place somewhere after the end of Super Mario Run and before the the Kart/Tennis/Party games. 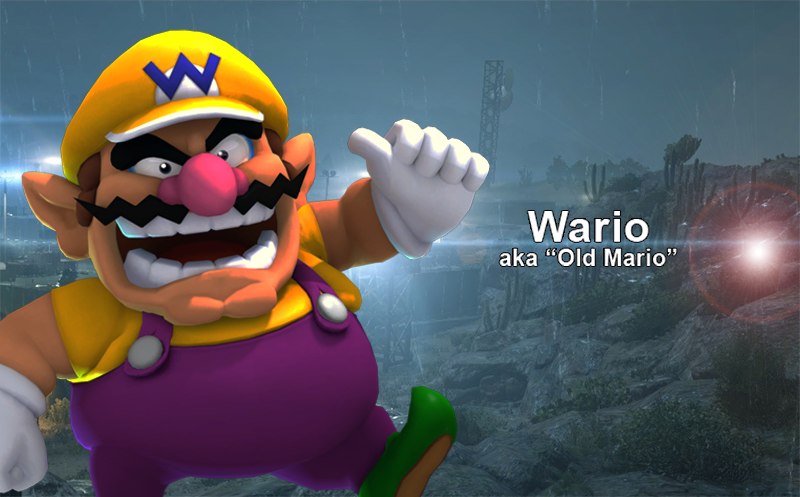 Wario, a.k.a. Old Mario/Corrupt Mario, has taken over the Mushroom Kingdom and rules with an iron fist. Some coalition of Peach, Bowser, Toad, Mario Jr., and his uncle Luigi must work together to overthrow him and, in the process, remind him of who he really is. Are there holes in this theory? Doubtless. Does it hold up to the level of scrutiny applied to some of the more elaborate Mario timelines? Probably not. I’m sure our readers will be able to find plenty of flaws, though if you can think of ways to improve or bolster it, I hope you’ll also share.